The competitors in the original Stadium Racing Extreme Sailing Series™ this year will be vying for an extra reward for their sportsmanship, strength of mind and team spirit with the introduction of the new Land Rover Above and Beyond Award. Land Rover, Series Main Partner to the Extreme Sailing Series™, is strengthening its commitment to the international competition with the trophy, established to reward the finest demonstration of going Above and Beyond the ethos that lies at the heart of the Land Rover brand. Individuals, teams, and the extended sailing family supporting the participants, will all be eligible for the Award at each of the global Acts. At the end of the season an ultimate trophy will be presented to honour the most inspiring example of going Above and Beyond, and the team will be rewarded with the use of a Land Rover in their home country in the following year. Mark Cameron, Jaguar Land Rover Global Experiential Director, said: "In our first year of supporting the Extreme Sailing Series™ as Series Main Partner we were hugely impressed by the immense skill, strength of mind, determination and top sporting talent demonstrated by the teams and individual sportsmen and women racing at the very top echelons of the professional sport of sailing. "We've also seen first-hand great examples of how those at the pinnacle of their sport are passionate about encouraging and supporting others to get involved in sailing at all levels. This is what Land Rover's spirit of Above and Beyond is all about, and we want to reward those who best capture the concept in their sporting and teamwork achievements, both in and around the Extreme Sailing Series™." A judging committee, chaired by international sailor and Land Rover Global Brand Ambassador Hannah White, joined by amongst others a previous winner of the Extreme Sailing Series™ and America's Cup sailor, Dave 'Freddie' Carr and Race Director, Phil Lawrence, will determine the award winners at each Act. 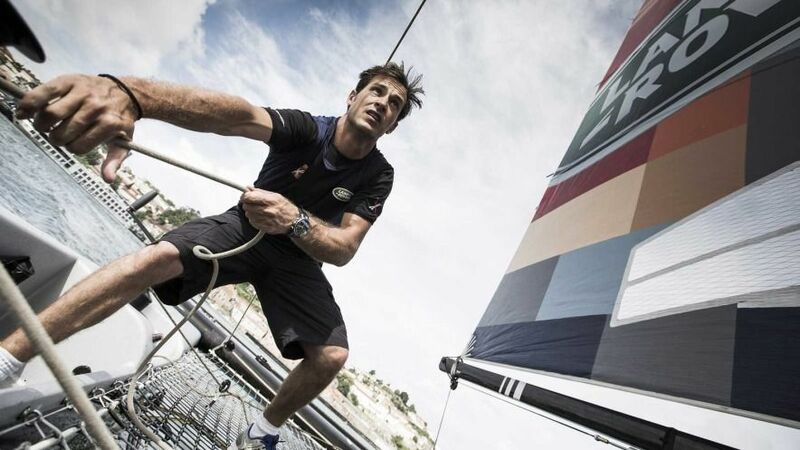 Land Rover launched its three-year global sponsorship of the Extreme Sailing Series™ as one of two Series Main Partners in 2013. The Extreme Sailing Series™ is one of the world's most exciting sailing competitions, contested by a fleet of fast and agile Extreme 40 catamarans crewed by some of the world's most skilful and successful international yachtsmen and women. Unlike many other sailing events, the races are fought out in the tight confines of iconic venues around the world, allowing spectators to enjoy the speed and excitement close-up. Each Act is contested over four days, and features a series of up to eight short sharp Stadium Races each day, lasting between 10 and 20 minutes.